Dunedin Punch was published by Robert and Thomas Redmayne in Dunedin. 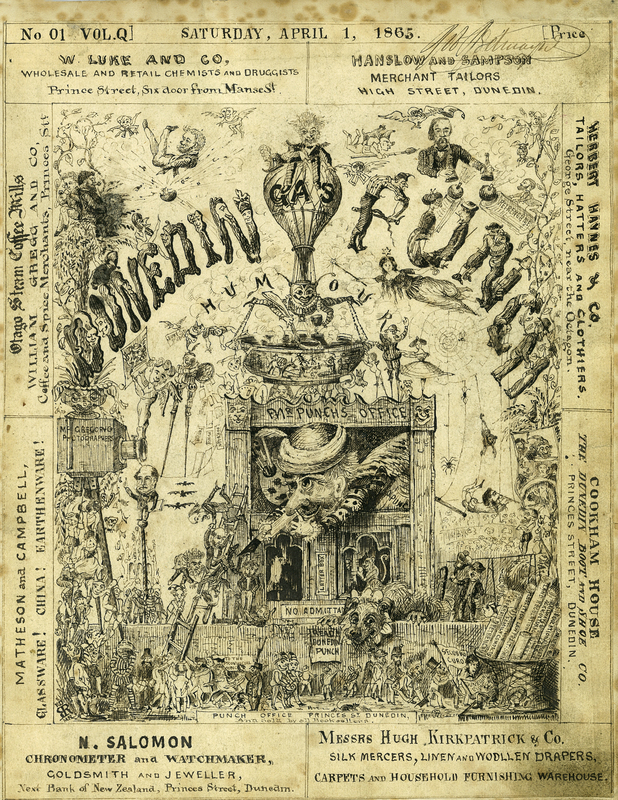 The first issue appeared 27 May 1865; the last 6 January 1866. There were 41 issues in total. Robert and Thomas Redmayne, publishers , “Dunedin Punch,” ourheritage.ac.nz | OUR Heritage, accessed April 26, 2019, http://ourheritage.ac.nz/items/show/10859.